The definite impact of Brexit on the Pharma Industry is, for the moment, vague. What is clear though, is that Brexit will have a big impact on the pharma supply chain and pharma compliance bodies. Due to Brexit the EMA must move to a new location, which is Amsterdam. All pharma compliance bodies which need to sit in an EU-country need to also move e.g. : QP, QPPV, Regulatory Affairs, etc. One advantage is, that after Brexit, the MHRA is only allowed to do inspections for medicines sold on the UK market like the FDA. It will be a long process to disentangle the relationships between EU-sites and UK-sites of Pharma Companies. If your production plant for a medicine is in the UK, after Brexit this plant is outside the EU and all regulations apply for the import of medicines from a non-EU country to the EU. In the first few years, if we have a hard Brexit, the UK and the EU will have a relationship based on the rules of the WTO. We do not know of any alternative concert trade agreements as yet. 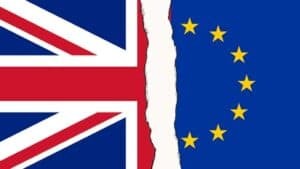 Some in the industry say that Brexit could have a big impact on patient safety due to the strong integrated supply chain and market authorization. The disentanglement of this fact will require highly skilled employees and consultants who can help you, the pharma client, to have a smooth transition from pre- to post-Brexit era. Also, GxP-Compliance needs to be transitioned smoothly, because any issues in this area can lead to the loss of market authorization and penalties. We, at KVALITO, have the highly skilled and transition experienced consultants you need for a smooth Brexit transition. Contact us and we can help you with your Brexit indicated GxP-compliance issues.